Amherst (Mass.) 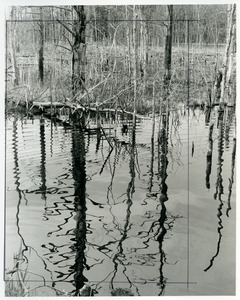 - Dead trees and their rippled reflections in the surface of a flooded swamp. Print is cropped with pen. Amherst (Mass.) 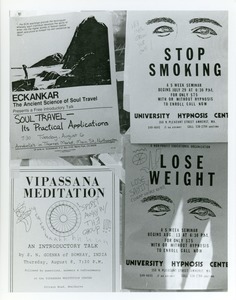 - Advertisements at bus stop including Stop Smoking and Lose Weight from the University Hypnosis Center, Vipassana Meditation, and Eckankar: The Ancient Science of Soul Travel. Amherst (Mass.) - Detail of a snow-covered staghorn sumac. Amherst (Mass.) 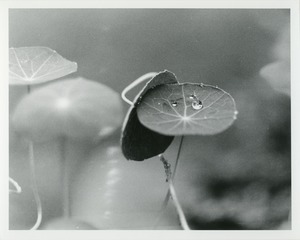 - Close-up of nasturtium with raindrop on top. Amherst (Mass.) 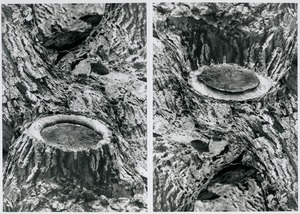 - View of the stump on a tree from where a branch was cut off. This version is made up of two prints, one right-side-up and the other inverted, creating a subtle optical illusion. Amherst (Mass.) 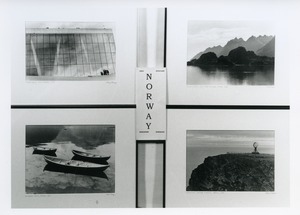 - Photograph of four of Mange's photographs from Norway: Opera House in Oslo; Coastal peaks near Svolvaer; Three boats in Geiranger; and Globe statue and lifting fog at the North Cape. Amherst (Mass.) 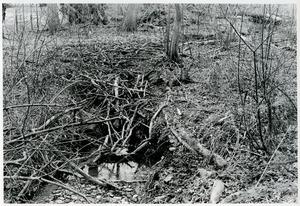 - Stream through woods hidden by fallen branches. Amherst (Mass.) 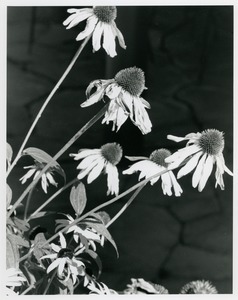 - Wilting coneflowers by a flagstone patio. Amherst (Mass.) 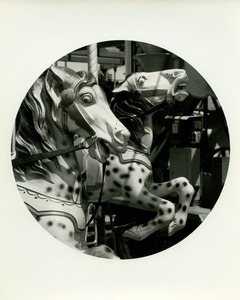 - Circular photo of wide-mouthed carousel horses. Amherst (Mass.) 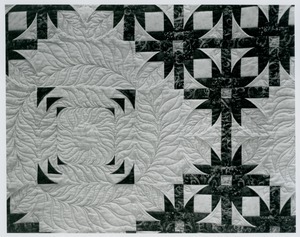 - Detail of quilt with leaf-like pattern.